Have you ever tried bibimbob? Though there’s a number of different styles, they all feature a bed of rice, fresh local ingredients, and flavorful sauce. It’s the perfect cuisine to see how varied and unique regional Korean food is. Each region takes what is available locally and seasonally and puts its own stamp on it. 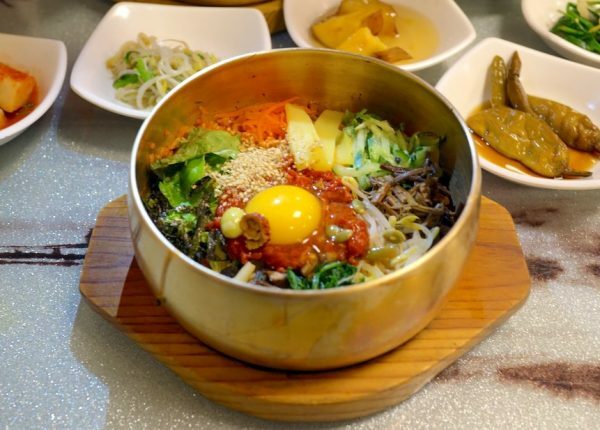 Bibimbob in Jeolla Province boasts up to 20 ingredients, with rice cooked in beef stock, beef tartare and bean sprouts tossed in gochujang. 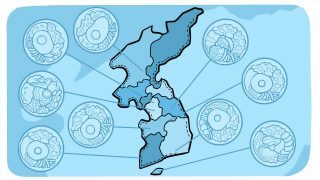 That’s certainly different from the one from Tongyeong, a coastal city in Gyeongsang Province, where bibimbob is made with manila clams and seaweed tossed in anchovy soy sauce. Then there is the humble mountain vegetable bibimbob from Gangwon Province, delicious in its own simplicity. I have been cooking professionally for about 10 years now, but I am not a classically trained chef. I am still a little wide-eyed when it comes to food, very much enchanted and finding inspiration everywhere—farmer’s markets, cookbooks, pouring through Instagram posts of other cooks, eating and exploring whenever I can. 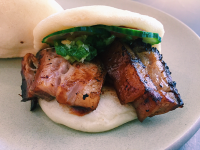 When I started dreaming about a Korean restaurant, I agonized over what that means. What is Korean food? Is Korean food even Korean when it is done so far outside of the motherland? When something stumps me this way, I turn to learning. So I set my worries aside and studied Korean food. Educating myself on regional cooking was a joy because it’s fun for a food nerd like me, but it was also a relief for the self-doubting immigrant in me. My ancestors took what is locally available and developed distinctive styles of Korean food for where they are. This shall be how I approach the Korean food at my restaurant, too—as a regional Korean food in Michigan. Learning about food, especially regional cuisine, shows me a window into people’s stories. I can imagine foraging for mushrooms and wild greens in the mountainous Gangwon Province to make the humble mountain vegetable bibimbob for my friends. I can imagine getting the freshest manila clams by the seaside and eating the bibimbob from Tongyeong in Gyeongsang Province. I can imagine living just outside of North Korea in China, mixing in cilantro and coriander seeds (which are more typically Chinese ingredients) into my napa cabbage kimchi. I can see their lives and their stories, as I can see my own, using Ann Arbor’s own beets and leeks in my bibimbob at Miss Kim. It makes me feel alright, being an immigrant who knows where she is from and putting her roots down in her new adopted home. For 2019, Miss Kim Korean Restaurant will be exploring different regional cuisine for their special dinner series every month. 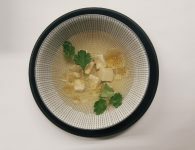 They travel to Jeolla Province on March 25th for 5-courses of modern and ancient cuisine, featuring the Jeonju bibimbob! Miss Kim Is Now Serving Lunch. Here’s a Taste!